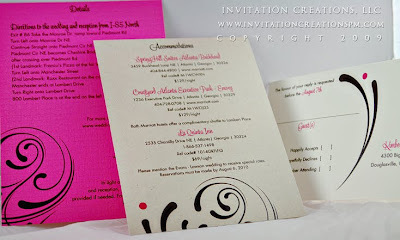 This is a slight variation of Melissa's rehearsal dinner invitation I had created in 2008. I love this design! It's such a modern look! Plus, my bride, Kim, had some really bold colors that just popped! 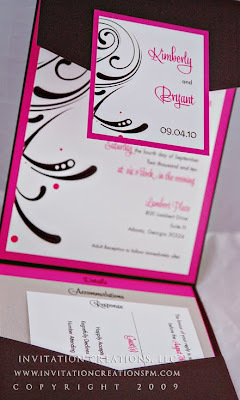 One thing that was really different was the paper orientation on this invitation suite. I don't think I have done one like this. Two out of the three inserts are on new papers. I'm so excited I had the opportunity to use them! 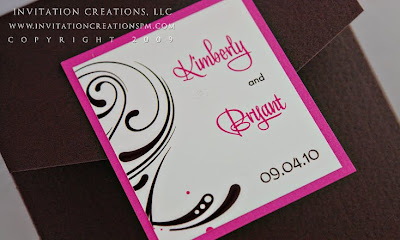 The colors look so great on these inserts, don't you think?